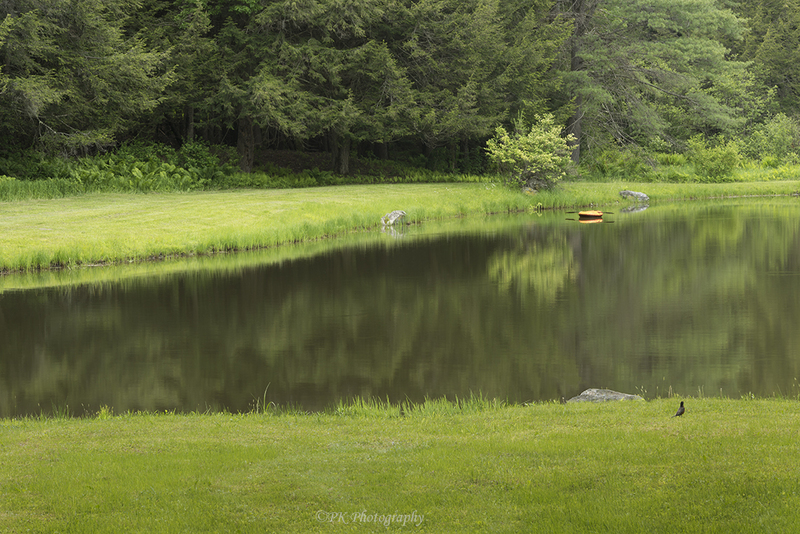 We recently visited New England for a graduation and stayed in a Tiny House on the pond pictured here. Since we were busy with graduation activities, we were only at our Tiny House during the morning and evening hours when the bugs were out in force. When shooting these photos, I had to work fast and run for cover! Also, I am sorry to say the bugs kept us from floating romantically in either of the little boats available on the pond. 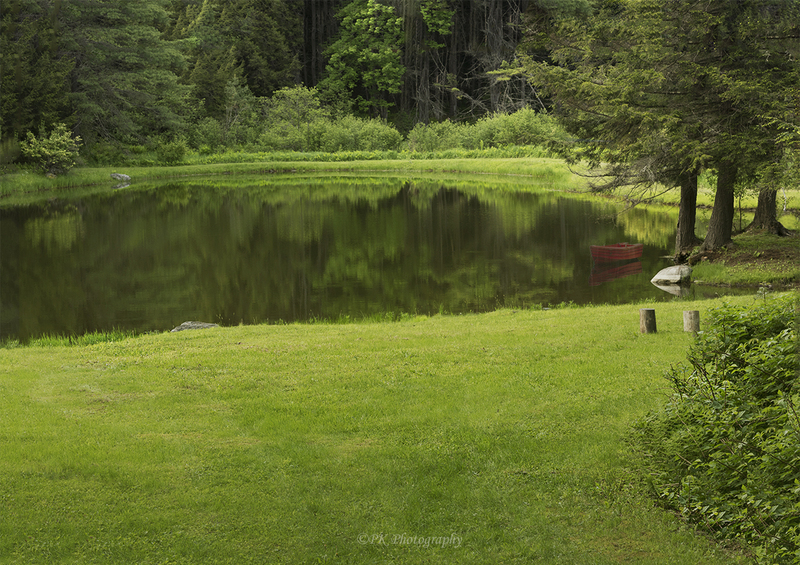 Nevertheless, this tranquil spot in woods of Vermont made the return to my house in mega suburbia bittersweet. By the way, kudos to the graduate! First, congratulations to the Graduate! Keep on keeping on. Your words on the bugs are all too familiar having grown up in Michigan. Bug hell. Big thumbs up for braving it. Do the deer flies tear you up too? They were merciless on me, period. Thank you, John. The graduate is working hard at a new job! I’m sure the bugs are still working hard at their job, but winter is coming in Vermont. I think these were gnats, swarms of them. I have a fly net that I got in Australia (I’ve never seen flies like that), but I hadn’t thought to pack it. I will try not to repeat that mistake. The clothing sounds like a good idea. Where do you get it? Camping supply stores like Paragon and Campmor sell it. After it washes out I use a bug repellant spray for clothing. Good for ticks too. Thank you for that information. I will try it!